Diamond earrings created A. JAFFE and sold by Bayside Jewelry. 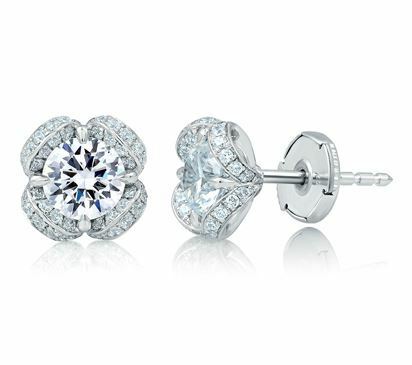 All earrings are set with conflict-free diamonds. Your earring embodies over 120 years of expertise and experience, and is supported by a Lifetime Warranty.